Rite Aid earned a letter grade of B+, scoring 81.5 out of 135 possible points, ranking seventh out of 40 retailers in overall scoring. The company has more than doubled its 2017 score of 36.5 points. In 2017, Rite Aid disclosed to us that it was beginning to develop a safer chemicals program that included a Beyond Restricted Substances List (BRSL) applying to several chemicals of high concern (CHCs) in its private-label products. Rite Aid’s goal was to eliminate these CHCs from its formulated private-label products by 2020. Rite Aid significantly improved its grade this year by adopting a new safer chemicals policy and a significantly expanded RSL in September 2018, developing a range of accountability measures, reporting continued progress on eliminating chemicals of high concern from its products, and stating an explicit preference for ingredients on the EPA Safer Chemical Ingredients List. The company also disclosed plans for the near future to begin screening formulated products – both private-label and national-brand – for an expanded list of chemicals and to encourage suppliers to disclose ingredients to Rite Aid itself and to its customers (including fragrance ingredients). Opportunities for improvement: Rite Aid can make even more progress by setting public quantifiable goals for reducing and eliminating all chemicals on its expanded RSL and on the six authoritative lists that make up the BPC stewardship list for both private-label and brand-name products. Rite Aid can also improve by requiring suppliers to conduct alternatives assessments to avoid regrettable substitutions. The company should also become a signatory to the Chemical Footprint Project and pilot it with key private label suppliers. The company does not have a publicly available Manufacturing Restricted Substance List (MRSL), and the policy does not appear to currently apply to packaging or to its operations, even though the company does state that “[it] will also review [its] operations to identify and act on emerging chemical issues that raise significant consumer concerns.” Rite Aid does not have any stores outside of the U.S.
At least one Rite Aid senior vice president has responsibilities that include chemical safety. This senior VP noted last year: “this topic is important to the entire Rite Aid team, from senior management to the internal teams who make consumer product purchasing decisions every day. We will continue to evaluate our private label … product offerings and work aggressively to ensure new products meet the needs of consumers and contain fewer ingredients of concern.” Another senior VP is also quoted in the press release announcing Rite Aid’s chemicals policy. It is not clear if there are financial incentives for senior management to implement safer chemicals policies. Rite Aid’s Chemical Policy states that in 2018 “Rite Aid will screen [formulated national brand] products for chemicals on the RSL and on the Beauty and Personal Care (BPC) Stewardship List.” Staff also told us: “In mid-2018, we began targeted testing of products of concern or requesting third party compliance verification for private brand formulated products” to monitor compliance with the company’s initial elimination commitment for 8 chemicals of high concern. We have awarded half credit for Rite Aid’s internal testing because it is not clear if this testing is routine. We also awarded half credit for the company’s third-party testing because it is not clear how much the company requires this testing to be completed. Rite Aid staff also stated that UL audits suppliers’ product ingredient lists to confirm that supplier responses are accurate. In September 2018, the company stated in its Chemical Policy that this year, it “will move from survey-based assessments of RSL compliance to automated screening using the WERCSmart platform. Rite Aid will require that own-brand suppliers report all ingredients in their formulated products to WERCSmart.” According to staff, WERCSmart allows the company to identify the ingredients in fragrances; WERCSmart’s records do not typically include information on contaminants or byproducts. In September 2018, Rite Aid stated: “The number of suppliers producing own-brand products for Rite Aid that contain these [initially listed chemicals of high concern] has dropped by 64%.” The company went on to state: “Most recent supplier surveys indicate that the number of own-brand products containing any of these [initially listed chemicals of high concern] has decreased by 54%.” The company noted: “Rite Aid is on track to meet our elimination commitment by 2020.” This indicates additional progress toward Rite Aid’s goals. The company plans to begin reporting additional metrics starting in 2019, particularly progress towards the 100% elimination goal and the number of new products launched in a year that are free of these eight chemicals of high concern. Rite Aid’s safer chemicals policy and Beyond Restricted Substance List (BRSL) are both publicly available. The company has also disclosed the identity of the six authoritative and regulatory lists that comprise the Beauty and Personal Care (BPC) stewardship list, which it plans to screen products against. Rite Aid states in its 2018 policy that it: “will encourage suppliers to publicly disclose all ingredients online or on pack, including the constituents of fragrance and other generic ingredients.” Staff added that the company is at first solely focusing on intentionally added ingredients, as opposed to contaminants or byproducts. No discernible progress on credible third-party safer chemicals standards going beyond regulatory compliance. Rite Aid does state in its 2018 policy that it plans to “promote third-party certifications, such as US EPA Safer Choice products,” but the company does not appear to currently promote these certifications. 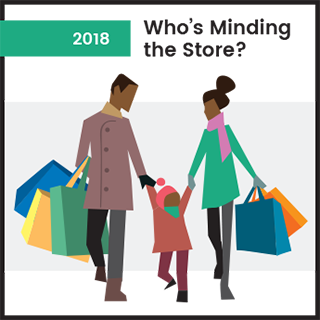 Rite Aid participated in a joint announcement with the Mind the Store campaign about its newly public chemical policy in September 2018. In September 2018, Rite Aid publicly posted its safer chemicals policy and RSL. The company also reported additional progress in reducing the number of own-brand products with the chemicals it designated as chemicals of high concern and in reducing the number of suppliers reporting products with these chemicals. Rite Aid also explicitly stated that it asks suppliers to use ingredients on the EPA Safer Chemical Ingredients List (SCIL) so that alternatives are safer. Rite Aid set a number of goals for the near future, ranging from screening its own products and formulated products against an expanded list of chemicals to requiring increased disclosure of ingredients to Rite Aid and encouraging some disclosure to customers. Rite Aid’s website has a variety of search filters allowing customers to more easily search for products, at least in the skin care and bath & body subcategories within personal care. Under the heading of “Ingredient Preference,” the filters denote products that are labeled: all natural, BPA free, fragrance free, paraben free, petroleum free, phthalate free, preservative free, sulfate free, and talc free. The company also provides filters under “Allergy Option” for fragrance free, talc free, and dye free products. The company notes on its website that it is still in the process of redesigning its stores as “Wellness Stores,” and it highlights as an offering: “All-natural personal care and home care products.” It is unclear how much signage this section will have in-store.